What’s worse for your brain than a traumatic brain injury (TBI)? A traumatic brain injury plus substance abuse. Many TBIs happen because of substance abuse: If not outright substance abuse, intoxication at the very least leads to a greater risk of TBI. “That drug abuse increases risk for TBI, and impairs recovery from TBI, has essentially been established,” says one study. TBIs are more difficult to treat when the patient is intoxicated: Since so much of a TBI assessment depends on the patient’s state of consciousness, alcohol and drugs make treatment much more complicated. Both TBIs and substance abuse interfere with decision-making: This means that patients who have experienced TBI may be more likely to abuse substances. Likewise, increased substance abuse, as we’ve seen, increases the risk of TBIs, so it’s a vicious circle. 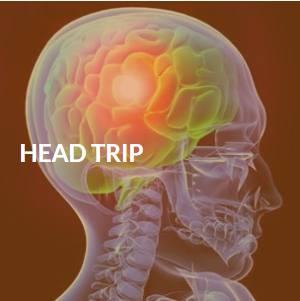 If you had a history pre-injury, you’re likely to relapse after: According to the above study, researchers found that a predisposition to drug or alcohol abuse is a major red flag: Patients are likely to resume this abuse post-TBI. Even people without a history of drug abuse are more at-risk post-TBI:Again, this has to do with the decision-making factors in the brain that are compromised after a TBI. What may have kept people from not abusing drugs or alcohol before an injury may no longer be “there” after an injury. More studies are being conducted every day on both TBIs and substance abuse. We don’t have all the answers now, but we’re on our way to a greater understanding.